Several months have passed since Star Wars: The Last Jedi blasted into theaters, and accordingly our anticipation for the release of Episode IX has started to reach the sky-high levels of Cloud City, particularly with the influx of casting rumors that have been floating around recently. Up until now, though, Lucasfilm appeared to be holding their cards even closer to their chest than Lando Calrissian in a game of sabacc – but fans were finally dealt in on Friday, July 27th as the Disney-owned production company officially revealed their hand and unveiled the main cast for the still-unnamed ninth installment, which begins filming on August 1st. As expected, the announcement on StarWars.com confirmed that the core four, consisting of Adam Driver (Kylo Ren), Daisy Ridley (Rey), John Boyega (Finn), and Oscar Issac (Poe Dameron), would be reuniting for the final chapter in the sequel trilogy, along with Lupita Nyong’o (Maz Kanata), Domhnall Gleeson (General Hux), Kelly Marie Tran (Rose Tico), Joonas Suotamo (Chewbacca), Billie Lourd (Lieutenant Connix), and, last but by no means least, Anthony Daniels (C-3PO), who has appeared in every entry of the saga to date. 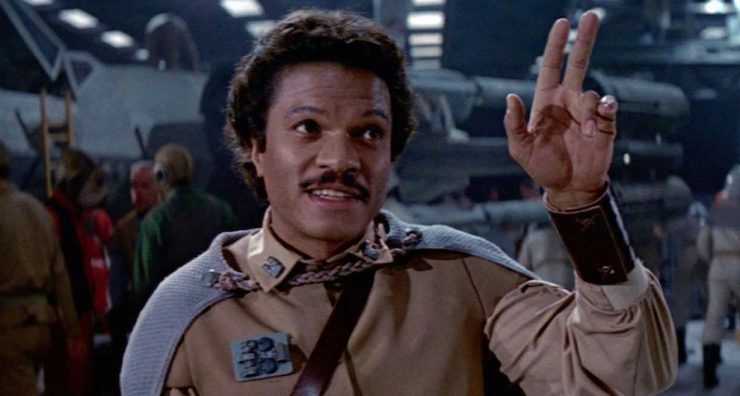 Billy Dee Williams first portrayed the suave space smuggler Lando Calrissian in The Empire Strikes Back (1980) and returned to the following movie, Return of the Jedi (1983), to swagger around in one of the character’s famed capes for his final live-action appearance in the franchise thus far. Earlier this year, Donald Glover starred as a younger version of the smooth-talking galactic gambler in Solo: A Star Wars Story, a prequel movie about the adventures of his future buddy Han Solo, but now Glover will be passing the baton (and his colorful wardrobe) back to the legendary actor for this final installment of the Skywalker saga. 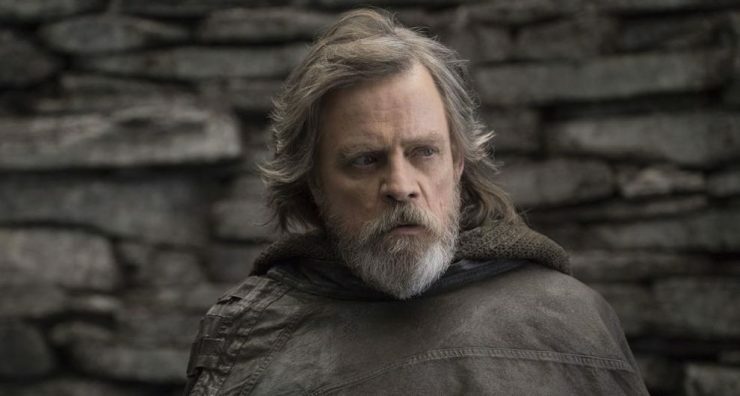 On the veteran side of casting, many had presumed that Luke Skywalker would appear as a Force ghost after Mark Hamill’s long-standing character seemingly died at the end of Star Wars: The Last Jedi, as he willingly sacrificed his life to prevent the First Order from defeating the Resistance. For years now, Force ghosts have played a major part in Jedi mythology, so it is entirely possible that Luke will return in this capacity to impart further wisdom on Rey. Alternatively, there is a strong chance that his presence will emerge through flashback sequences, similar to the pivotal scenes that served to expose Kylo Ren’s turbulent path to the dark side in Episode VIII. The late Carrie Fisher has also been named among the cast to appear in the next Star Wars movie, which officially marks the end of the Skywalker saga. 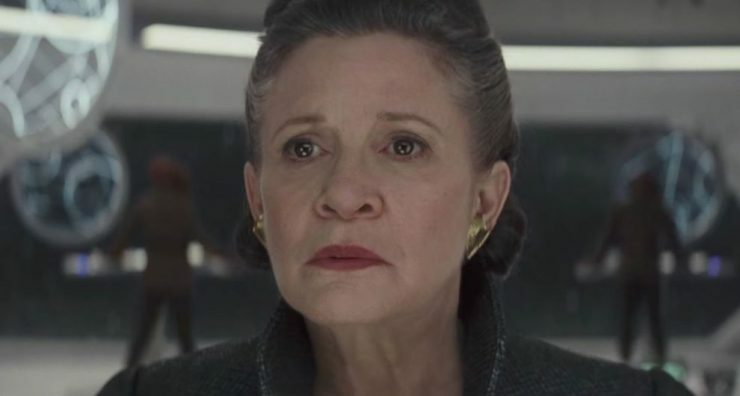 She will return on-screen once more in the role of General Leia Organa, using previously unreleased footage from Star Wars: The Force Awakens. The actress’ brother, Todd Fisher, and daughter, Billie Lourd, reportedly gave producers permission to use the existing shots in the next installment. 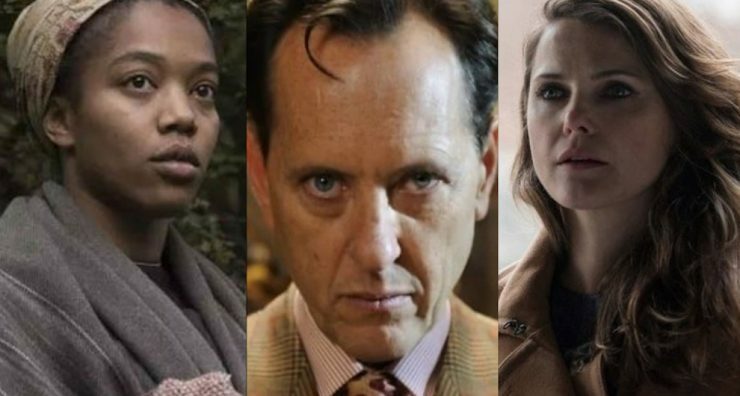 Newcomers Naomi Ackie and Richard E. Grant will also be joining the cast of the trilogy-capper in as-yet unnamed roles. Naomi Ackie is a relatively unknown actress, who won the British Independent Film Award for Most Promising Newcomer last year. Her credits include British productions of Lady Macbeth and a one-time appearance in an episode of Doctor Who, among others. It has been rumored that the up-and-coming star will be playing a character teased as “Mara” in Episode IX. For diehard fans of superhero movies, Richard E. Grant will be a familiar name for his part as the mysterious villain Dr. Zander Rice in Logan, which was released last year to stellar critical reviews and huge box office returns. The award-winning actor also appeared in a cameo role for the sixth season of Game of Thrones, playing Izembaro, the leader of a theater troupe. Despite not being originally listed in the casting press release, Deadline reports that actress Keri Russell has signed on for an unknown role, which was previously described to Variety as “action-heavy.” The actress, who recently wrapped on the final season of FX’s Americans, has shown her ability to perform tough stunts having starred in Mission: Impossible III, a project that was also directed by Abrams. Star Wars: Episode IX is set to open in theaters on December 20th, 2019.
Who are you most excited to see returning for Star Wars: Episode IX? Let Your Geek Sideshow and tell us your thoughts in the comments!